—Susan Ohanian, teacher, educational activist, and author of Why Is Corporate America Bashing Our Schools? 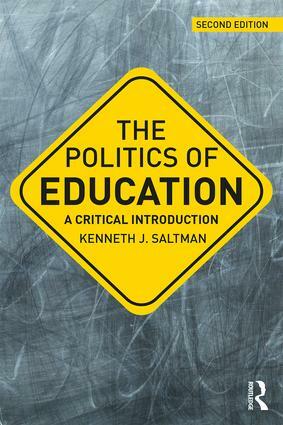 Introduction: What Are the "Politics" in the Politics of Education? Chapter Ten: The Politics of the Status Quo or a New Common School Movement? Kenneth J. Saltman is Professor of Educational Leadership and Policy Studies in the doctoral program at the University of Massachusetts Dartmouth.